Billie Flanagan—a beautiful, charismatic, strong-willed, and wonderfully unconventional wife and mother—goes on a solo hike not far from her California home…and vanishes. A recovered hiking boot and smashed cell phone imply a tragic end and, after an extensive search, Billie is presumed dead. Fast-forward one year. Billie's still-grieving daughter Olive starts having visions of her mother and becomes increasingly certain that she didn't die after all, and that she wants to be found. Olive's father fears for his daughter's mental health, but then begins discovering a trail of secrets that lead him to believe she might be right about her mom being alive. 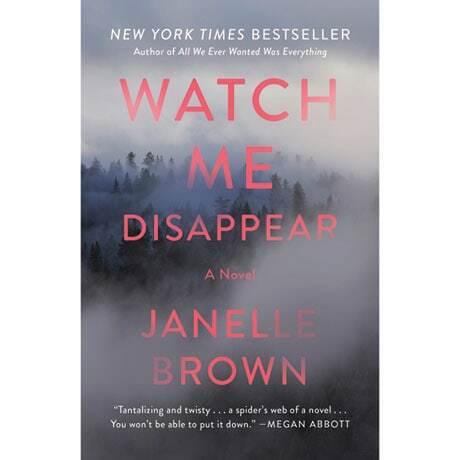 Smoldering with suspense, Watch Me Disappear also offers emotional insights into marriage, parenting, love, and grief.